RED BRICK 3/2/2 1 STORY HOME ONLY 8 YEARS OLD! BUILT BY LAKE RIDGE BUILDERS. HIGH CEILINGS, PREMIUM ELEVATION, CROWN MOLDING & CHAIR RAIL IN DINING ROOM, RADIANT BARRIER ROOF DECKING, GARDEN TUB AND 2 SINKS IN MASTER BATH, GAS FIREPLACE W/REMOTE, GARAGE DOOR OPENER, KITCHEN HAS BLACK & SS. APPLIANCES, DARK CHERRY CABINETS W/42 INCH UPPERS, GRANITE LOOKING COUNTERS, TILE BACK SPLASH, RECENT CARPET & PAINT. LARGE BACK YARD WITH NO BACK NEIGHBORS! SPRINKLER SYSTEM TO SIMPLIFY YARD MAINTENANCE. ZONED TO ACCLAIMED CY-FAIR ISD! 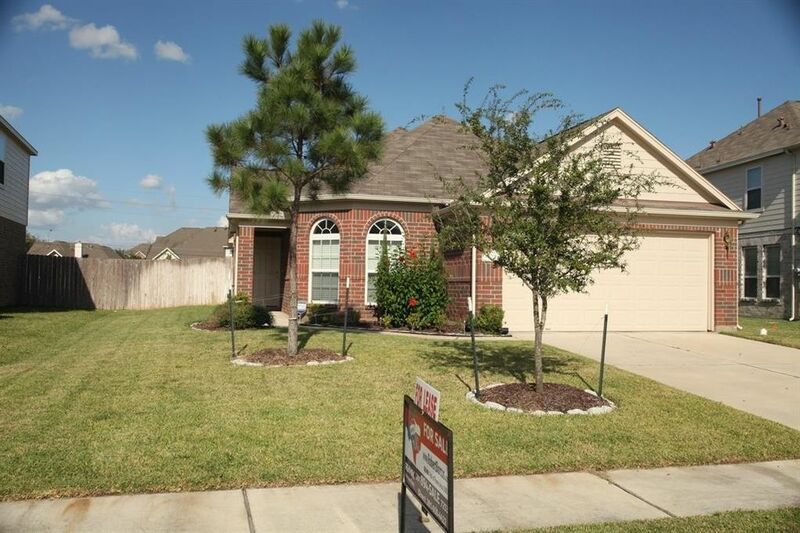 LOCATED W/CLOSE ACCESS TO I-10, 290 & BELTWAY 8 ALL W/IN 10 MINUTES. Directions: From I-10 WEST, EXIT BARKER CYPRESS GO RIGHT N. ON BARKER CYPRESS, THEN LEFT W. ON CLAY RD. THEN RIGHT N. ON GREENHOUSE TAKE 1ST ENTRANCE INTO GRAND OAKS, TAKE 1ST L. FOLLOW AROUND TO THE RIGHT ONTO TAVERNS CROSSING, HOME DOWN ON LEFT!